I have been a student at Sun Hapkido Academy Singapore for about 4 years and its safe for me to say that SHAS is an excellent place to learn Hapkido, make great friends and keep fit at the same time. Every year they have an anniversary dinner to celebrate the club’s birthday. I missed last year’s but I made it a point to attend this year’s, and I definitely did not regret it. The food was great. The company was great. The fun and games were even better! 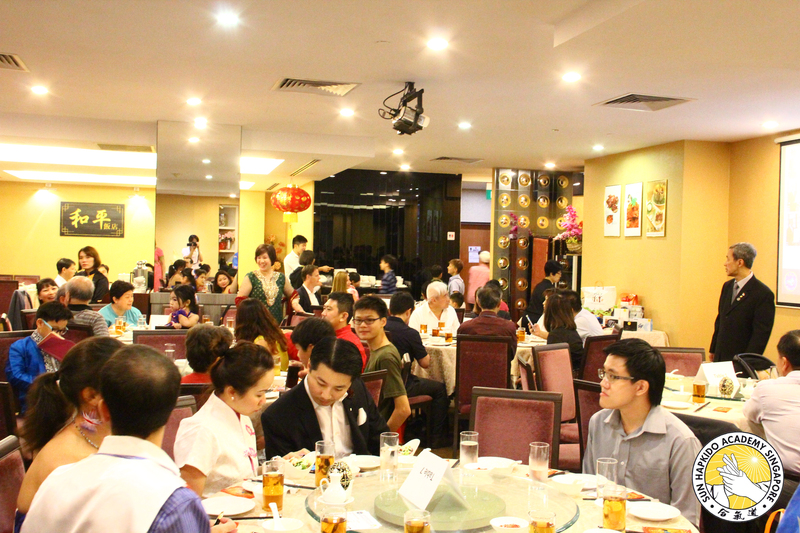 The setting was at a traditional Chinese restaurant, Wo Peng Cantonese Cuisine, located in Furama Hotel. I arrived early and saw that the organisers were ever so kind to ensure that everyone had a view of the stage. Master Sng even requested a change of tables to make that happen. The dishes were delicious and filling. Everyone at my table agreed the chicken was very tasty! Emcee Carnation was particularly good at rousing the crowd during the lucky draw events. Some of the events that wowed the crowd were the trivia quiz session, which saw many people being very sporting and participated well. The kids were shouting for the answers and trying their luck. It is heartening to see them being so involved in the programmes as well. I am also amazed by the performances of our ‘local’ ITC members as I didn’t know that they had such hidden talents! Dominic Van Zelm performed the Jurassic Park theme song on the trumpet and Justina Sun sang her version of Coldplay’s The Scientist. 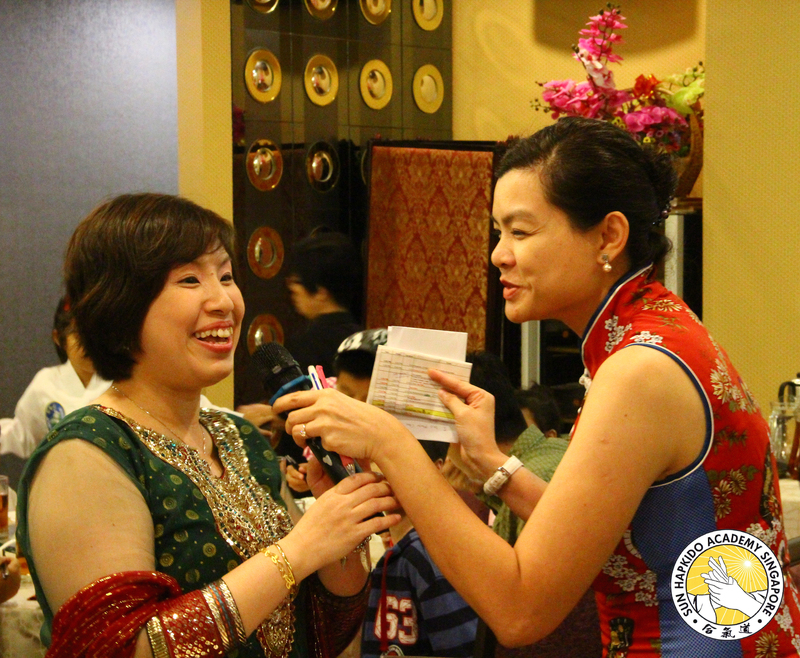 It was a fun-filled evening and the most exciting part was certainly the lucky draw. 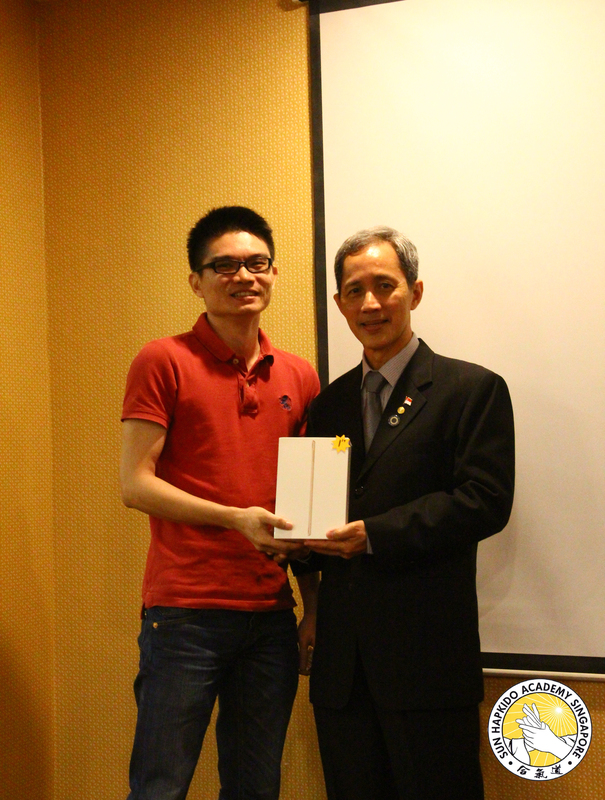 Everyone was on the edge of their seat and hoping that they would be taking home the 1st prize – an iPad mini, at the end of the night. Carnation, our lovely emcee, said that as a ‘forfeit’, the winner would have to dance through the crowd to claim their prize. Nonetheless, nobody was deterred by this and when the winning ticket number was called out, I found myself dancing through the crowd to get to the stage to collect my prize. Overall, the organising committee put everything together really well, from the games to the lucky draw to the performances. I’m sure everyone had a great time! 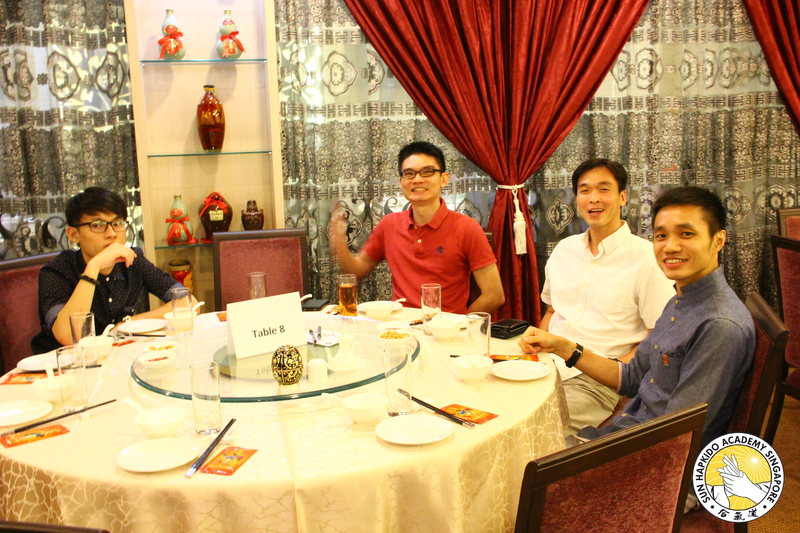 I especially would like to thank Master Daniel Sng, Chairperson of this year’s anniversary dinner Mr. Joel Mok, Emcee Carnation Chai and the rest of the committee for their hard work. Thumbs up and I hope next year’s dinner will be even better! 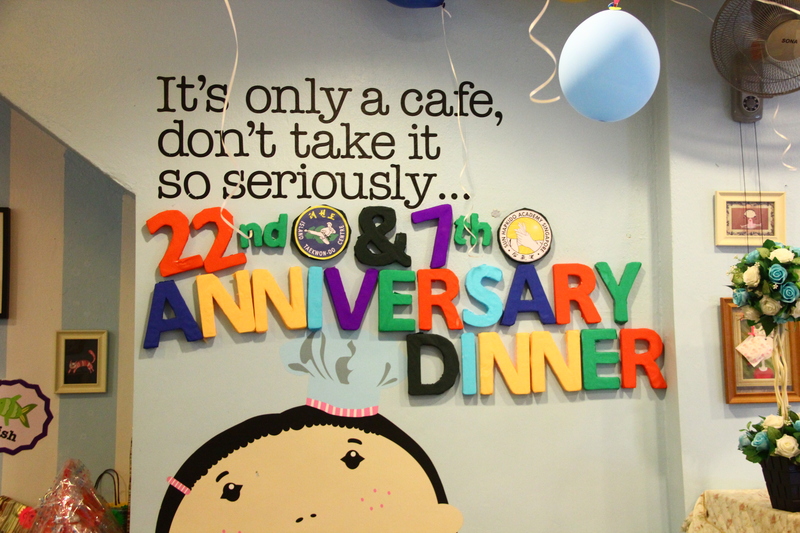 29th March 2014, 7pm: A café alongside Tanjong Katong Road was teeming with crowds of patrons on this Saturday evening. 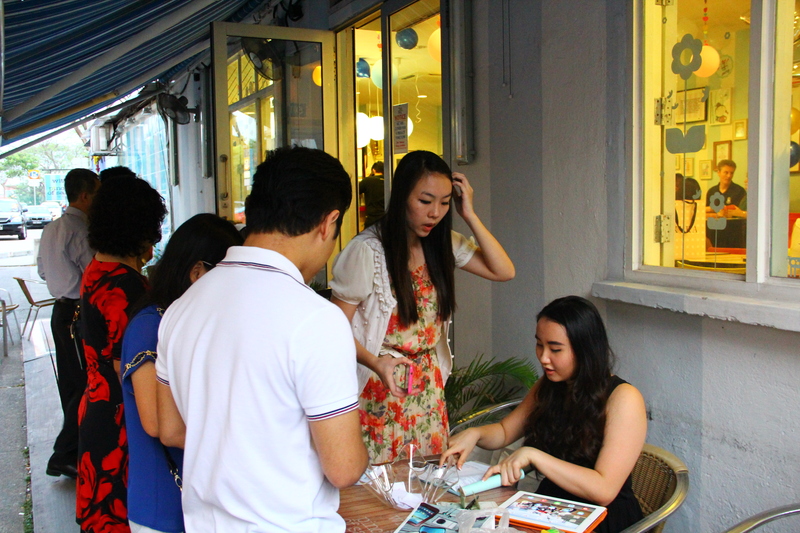 Laughter filled the air as the patrons “queued” for their entry into the café. Unknown to many on-looking passer-bys, With A Pinch Of Salt was closed for a very special event that evening. 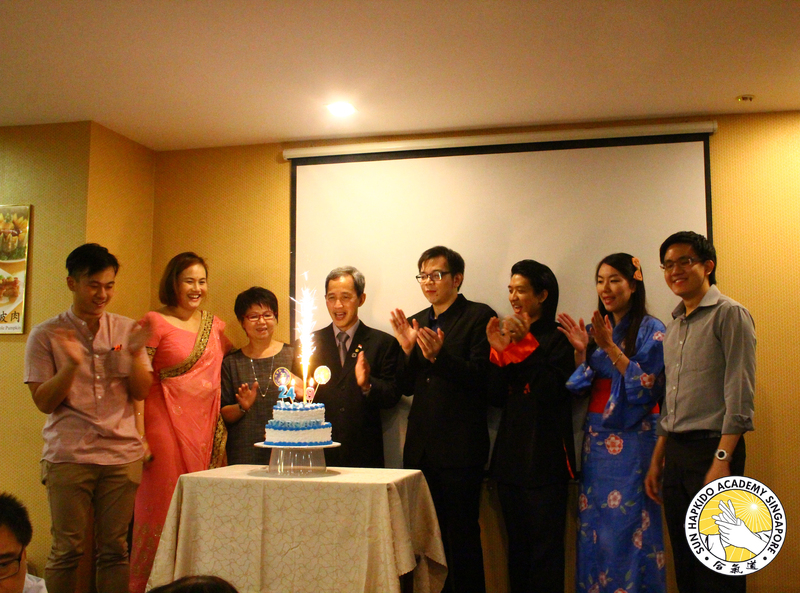 The event was a joint dinner, celebrating the 22nd and 7th anniversary of Island Taekwon-Do Centre (ITC) and Sun Hapkido Academy Singapore (SHAS). Although it was a casual setting, the atmosphere was lively and it was interesting to see everyone decked out in a sea of colours – a stark contrast from the white uniforms worn by everyone during our weekly training classes. At the door, there was a mini reception attended by Justina, where everyone did their registration, and handed in their ticket stubs for a chance at the lucky draw later on. Faces were all-smiles as members from both schools went around making friends and posing for photographs. 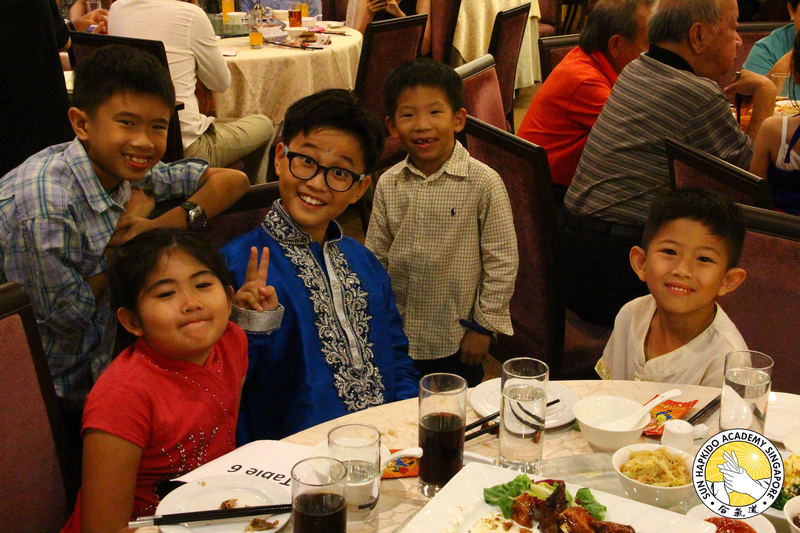 Everyone was engrossed in their friendly banter while awaiting for the commencement of the celebratory dinner. At around 7.30pm, Master Sng graced the event with a meaningful speech, which brought on a huge round of applause from everyone present that night. And with that, the feasting began! 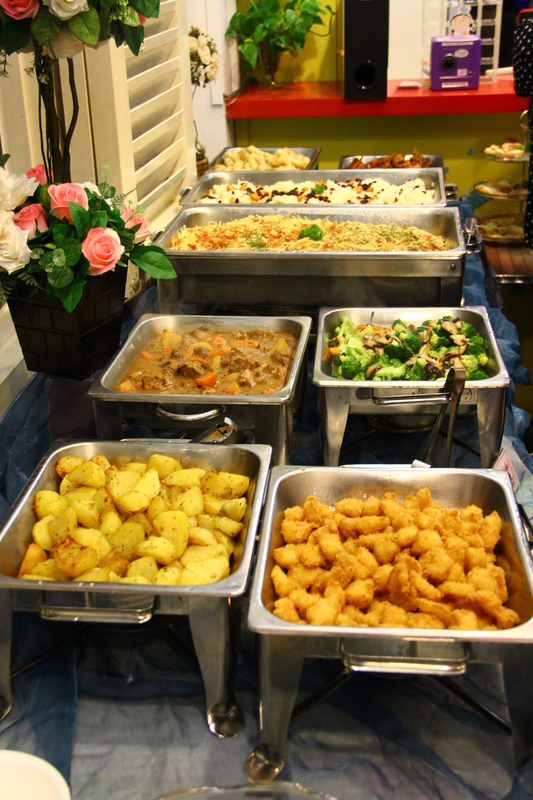 It was a western fare for the night, with dishes all laid out in a buffet-style dinner. Chicken wings, as usual, were a crowd favourite and the tray was emptied in no time. 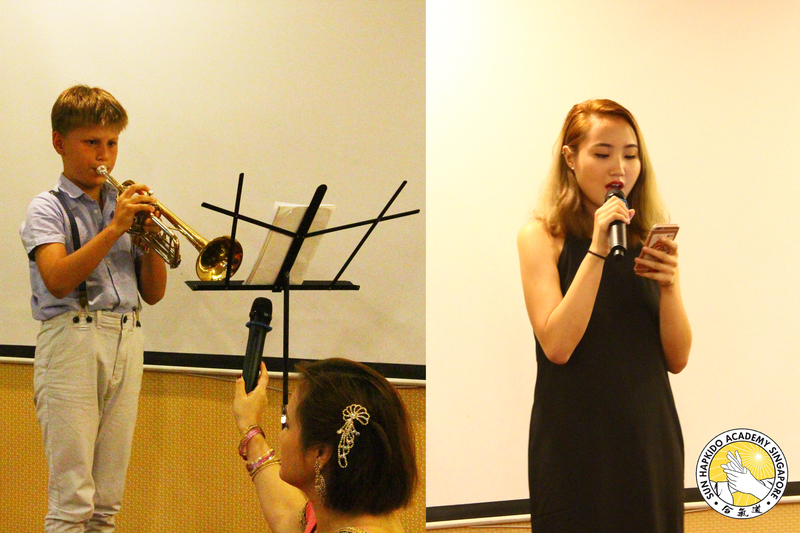 To accompany the food and drinks was a series of performances from the multi-talented members of the schools. One of the performers being my good friend Calvin Eng, who introduced me to Sun Hapkido Academy Singapore. 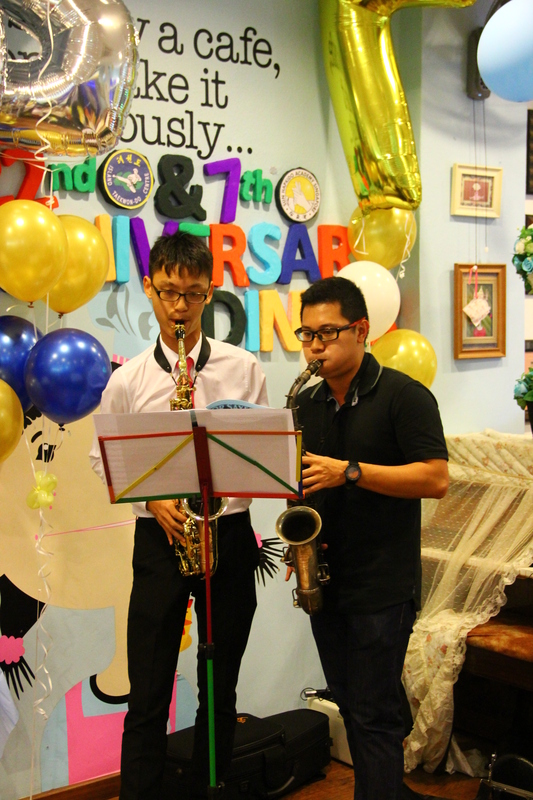 His act was a saxophone duet with Mr. Gavin Soon and as this being my first anniversary dinner, I was surprised to see how members were not only “physically-talented” but they have a flair for the arts as well. At around 9pm, the much-awaited lucky draw began. Everyone dug into their pockets for the other half of the ticket that showed their ticket number, and prayed hard that they could strike it big with Lady Luck. “The TV is mine, I know it”- became a constantly repeated phrase at the tables as everyone eyed the grand prize for the night. 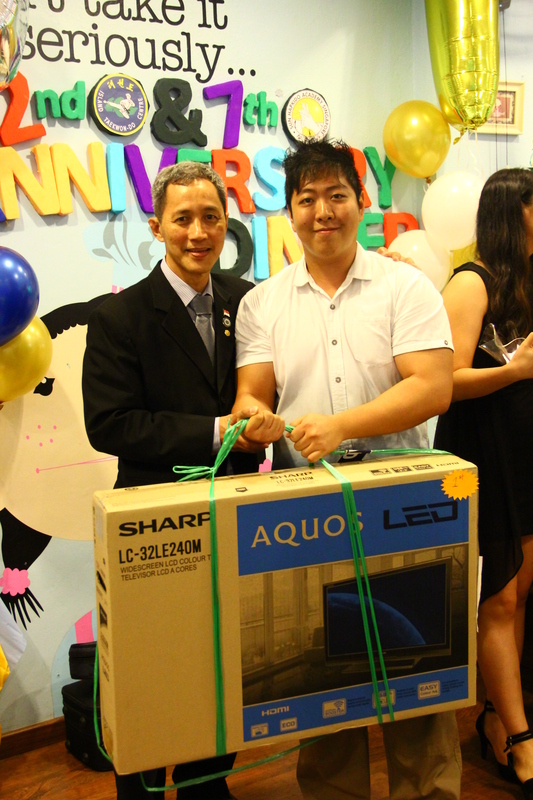 After numerous rounds of “OOH!” and “AHH!”, finally the lucky draw came to an end, with Mr. Wu Yong Ming bringing home the TV and all the other prize winners grinning ear to ear, posing for the camera with their “catch-of-the-day”. Then came the prize presentations for members who have contributed greatly, in one way or another, to ITC’s Annual Championships 2014 or this anniversary dinner. 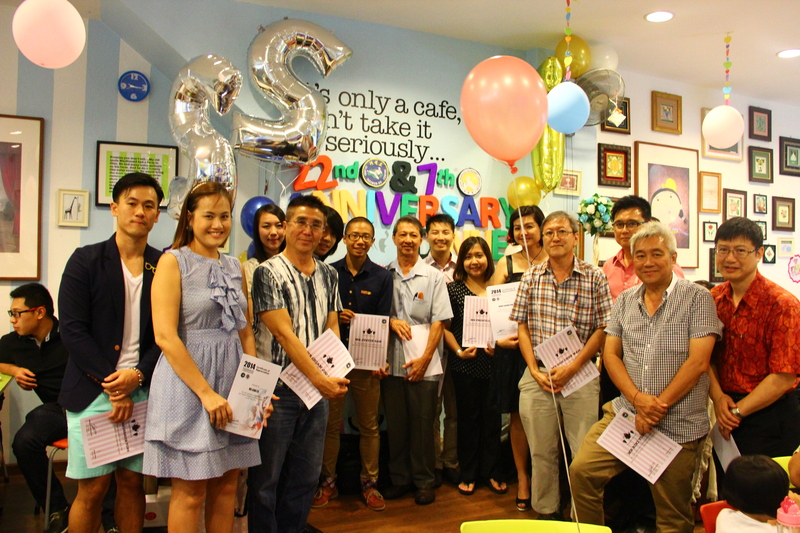 It was definitely a proud moment as they received a plaque and certificates as a form of recognition for their never ending support, for both ITC and SHAS. With that, the ITC and SHAS Anniversary Dinner drew to a close. It was definitely a fun filled night, with much to talk and laugh about. We have all made new friends, within or across schools. And, most importantly, we got to know each other better in this casual setting and forged closer bonds as both training mates, and friends. Although occasions like these are rare, but what we took home with us at the end of the day, will definitely keep us looking forward to the next big gathering.